Are you planning to build a house? Do you intend to redecorate a room or garden? Become your own architect and plan and design on your very own PC - Ashampoo 3D Architecture 5 makes it possible. Create your own patterns from lines, circles, curves etc. and use them in your projects. We have already added more than 30 new patterns such as reinforced concrete, bricks or parquet flooring. Now, you can also apply the many 3D textures in 2D and make your rooms look even more realistic. Of course, texture rotating and scaling is also possible in 2D views. How does your house look at night? In direct sunlight? At night? Use the integrated light and shadow simulation to find it out. Get a real-life picture of your building and also determine whether you've placed those solar elements in their ideal spots. Step-by-step project assistant - 2D, 3D and cross-section views - Smart input and construction aids - Integrated roof, staircase and environment builders - Realistic light and shadow simulation - Extensive object catalog . CAD for professionals - Plan, visualize and communicate. Use powerful features to achieve technical excellence and rely on extensive modeling capabilities to design your own construction elements or sculptures and add an artistic touch to your building creations. From roof designs to landscape planning - Ashampoo 3D CAD Professional 5 provides highly useful input aids and wizards for all complex operations. The integrated object catalog comes with a huge number of construction elements, textures, materials and symbols. This includes doors, windows, balconies and carports to sanitary and electrical installations including photovoltaic elements, all instantly positionable with a single click. Import and export 2D DXF- and DWG projects directly from within the program and exchange data effortlessly with other CAD applications. Export to Maxon Cinema 4D format for further processing to achieve extra visual polish for project presentations. GlobalCAD Architecture is the integrated architectural and land planning add-on solution for AutoCAD, AutoCAD Architecture and BricsCAD. Utilize unique presentation tools for the creation of stunning hatch patterns and complex linetypes, generated quickly and easily from existing drawing objects. Create comprehensive schedules and bill of materials from block attribute data at the click of a button! Query drawings for quantities and export data to a variety of file formats including Microsoft Excel and Access. Create accurate and intelligent site surveys and stunning 3D terrain models with a single mouse click! Using advanced algorithms, 3D models can be produced covering vast areas, both as polyface meshes or solids (including volumetric data). his add-on utility package is for use with plain AutoCAD (or Vertical application other than Architecture or MEP), version R2000 - R2016. It includes most features included in the AEC version, except for those that are specific to AEC. Some features, such as Auto-Layering, have been tailored for non-AEC use. This version also include some tools not found in the AEC version, such as Dimension tolerance tools. The KCS Productivity Pack is now a free utility, which may be authorized upon purchasing. All features are included whether authorized or not. 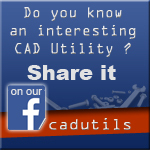 An add-on CAD utility package for use with AutoCAD Architecture (or AutoCAD MEP). It contains a suite of additional commands. A few highlights includes a Ceiling Grid Generator, Auto-Layering for annotation layers, dozens of keyboard macros, point aids, and much more.